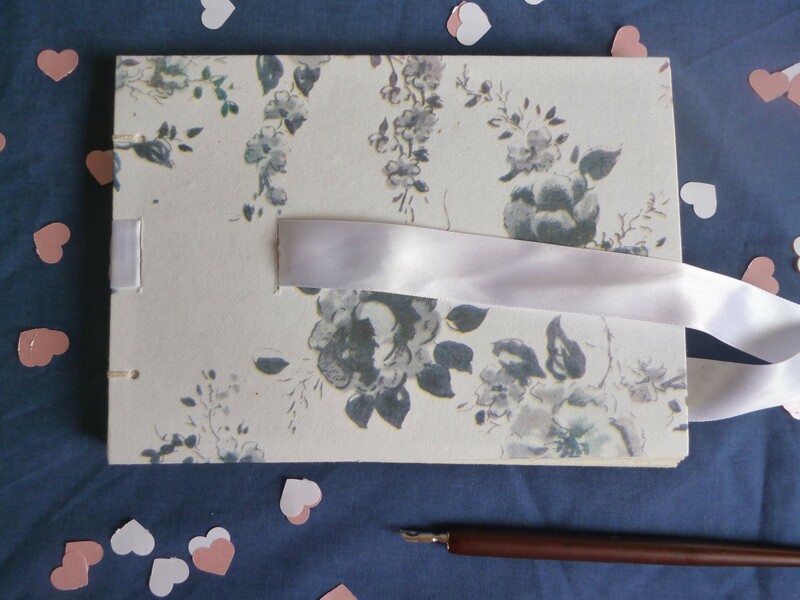 Lately I’ve been working on my wedding stock and I’m pleased to announce that I’ve got the first handmade guest books up for sale on etsy! 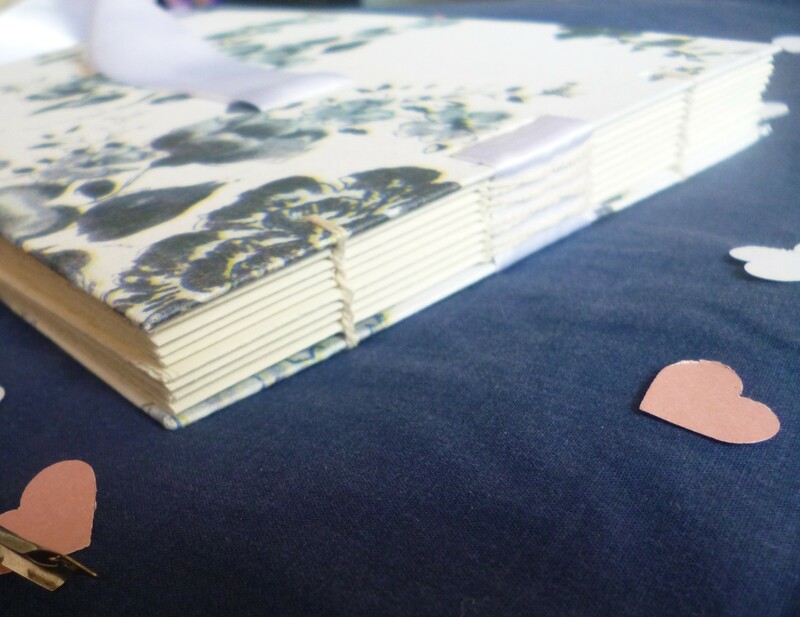 These have both been covered in beautiful paper, with lovely open-view hand stitching and ribbon fastenings. These ones are A5 and are £18 each – P&P is £2.50. You can order these ones from my etsy shop, or contact me directly for custom orders if you would like a particular colour/style. This entry was posted in Books, Craft, Notebooks, Paper, Stationery, Weddings and tagged etsy, Guestbook, Handmade, Notebook, Wedding. Bookmark the permalink. Post a comment or leave a trackback: Trackback URL.